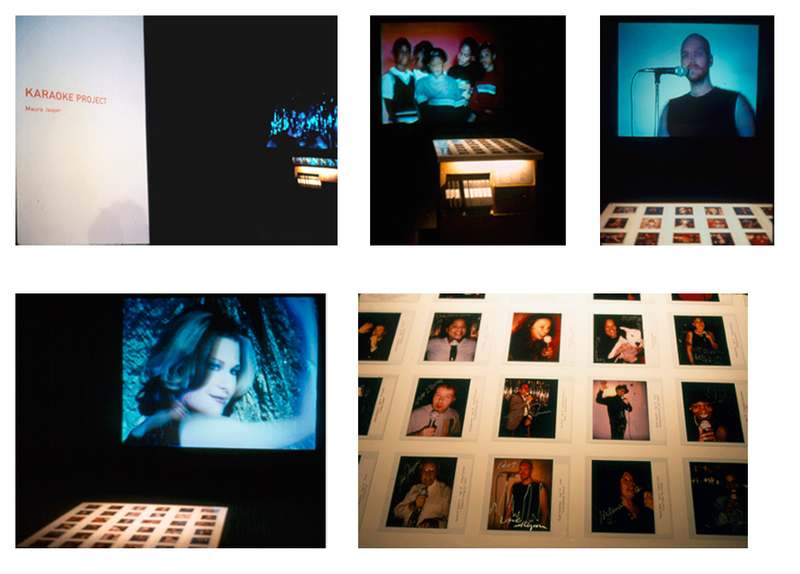 Karaoke Project (installation view) at Threadwaxing Space, New York, New York, 1999. Curated By Lia Gangitano. Viewers to the gallery were invited to select the works they wanted to view from a video archive. A polaroid of each performer was displayed as a "key" to the works on view.